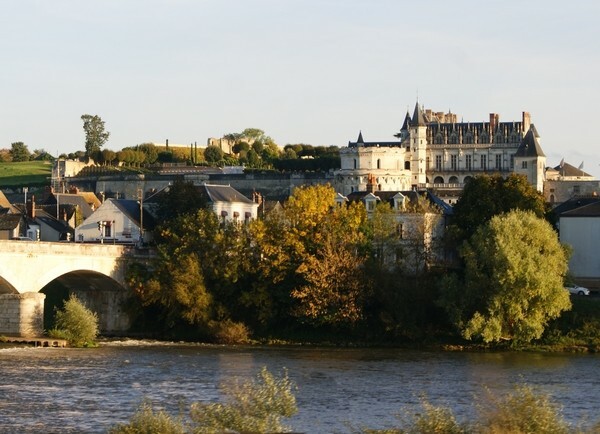 This peaceful town is a great place to explore as you wander amongst the boutique-filled streets or along the Loire River. Home to two famous castles: Amboise Castle and Clos Lucé Castle. The former which was home to Mary Stewart, Queen of Scots, and where Leonardo da Vinci is buried. The latter which was where da Vinci spent his last days. Don’t miss the Clos Lucé Castle where you can discover so much about Leonardo da Vinci and his work as a painter, engineer, and architect. Also don’t miss the Amboise Castle where da Vinci is buried. On Friday and Sundays there is a fabulous farmers’ market, one of the biggest in the valley. Great place to find some fresh fruits, veggies, and treats. Explore the town too of course. Walk near the Loire River, wander the streets and stop in the cute boutique shops. Try some good French food and wine at one of the restaurants. Take you time to relax and enjoy the atmosphere of this old, medieval town. 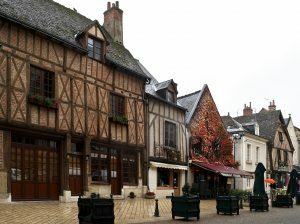 Wander at will throughout the streets of Amboise. Enjoy the more calm, slower-paced style of this smaller town. Also you should try and visit one or both of the castles if possible. They are, after all, so close-by. 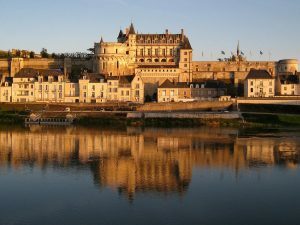 Become more well-versed in the history and learn about how the Italian Renaissance was brought to the Loire Valley. You mustn’t miss trying some Loire Valley wine with your meal. This region is known for their fruity and diverse wines. Hours: N/A. If interested in the castles see their websites.